I love pancakes! Fluffy fat pancakes are my favourite, the fluffier the better. I like making variations depending on what I have in the kitchen. I had some lovely looking raspberries on hand so raspberry pancakes it was. Maybe it was the warm sweetness of the raspberries that made them delicious or the fact that I was eating them in my pjs. Either way it was a great start to the day. When making pancakes I use a standard 1:1:1 recipe. Of course you can play around with types of flour and milk alternatives but for this recipe I used the following. For the extra goodies such as berries, use as many or as little as you like. I either mash the berries before putting them in the pancake mix or I put them in whole, depends on how hungry I am. On this occasion I squished the raspberries slightly with a fork before putting them in the pancake mix. To cook I put a tiny bit of butter in a fry pan and away I went. 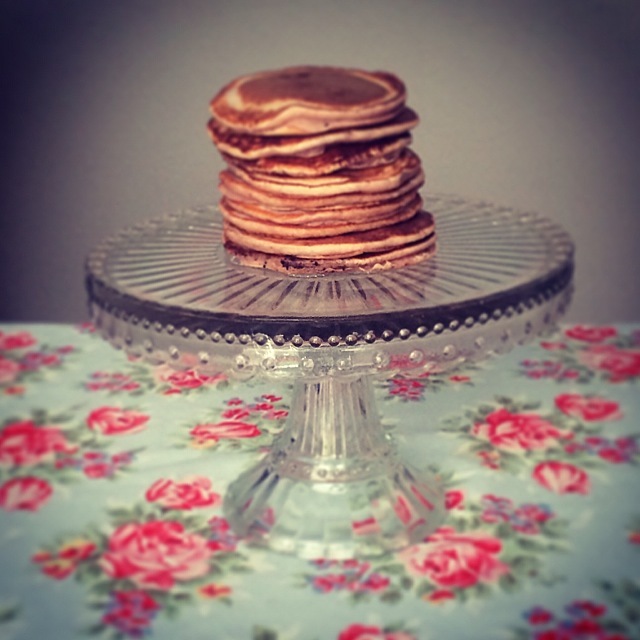 To be honest these didn’t last long especially as I served them with a drop of maple syrup. If I had it I would’ve been so bold as to have ice cream with them as well! Yum!